In today’s post I’d like to further reinforce the need for quality foods by talking about live, raw, and organic foods. Today’s longer working hours, especially in America, have left less time available to cook quality meals than ever before. Because of this many people are running to the doors of fast-food restaurants and vending machines during the work week. Unfortunately, the majority of the food that is served at such venues is some of the most processed foods out there. Now don’t get me wrong, I’ve had the occasional burger and fries and thoroughly enjoyed it, but when this kind of food makes up the majority of one’s calories there is no question of “if” one will encounter health problems but simply “when”. The reason being is that processed foods are no longer real foods. There is no life left in them. 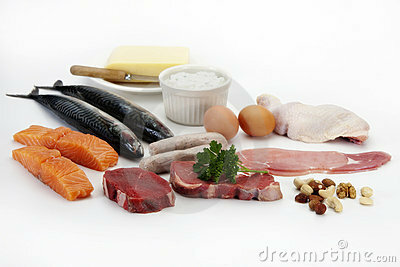 Animals and plants are full of enzymes, vitamins, and minerals. Those nutrients in animals are abundant and active still after the animal is slaughtered (hopefully humanely) but are destroyed as time passes or high-heat is used to cook them. Those nutrients in plants are abundant and active also after the plant is harvested but are destroyed as time passes or heat is used to cook them. The “life” is taken out of them with time and heat. The animal parts and plants used in processed foods are almost always not organic either and even if a food is labelled “organic” it can still be processed. By taking the flesh of an animal or a plant and putting it through the “process” of high-heat or adding chemicals/preservatives it loses the life that gives the consumer (you) the health and vitality you need from your foods. That is why it is extremely important that we incorporate live, raw, and organic foods into our diet on a daily basis. What your body craves is NUTRIENTS. It does not crave CALORIES. Let me say that again. What your body craves is NUTRIENTS. It does not crave CALORIES. Your body doesn’t care about calories. It only cares about nutrients. Processed foods are calories rich, nutrient poor. Live, raw, and organic foods are calorie poor, nutrient rich. Don’t believe me? Eat a bunch of raw, organic vegetables, some pastured eggs, maybe a piece of grass-fed beef, and some raw, organic butter or coconut oil for the day. Not only will you be full and satisfied, but throw those foods into a calorie counter and see how many calories you ate compared to what you normally would eat. I bet the calories will be the same or less than what you normally eat on an average day, yet the nutrients will be MUCH HIGHER! Not to mention you didn’t put those chemicals, growth hormones, and antibiotics into your body like you would if you ate commercial fruits, vegetables, and meats. To conclude, there is nothing wrong with having a little processed, dead food in your diet. The human body was designed to handle a small amounts of toxins and poor quality food. Every person has a different limit to how many toxins and poor nutrition they can handle but it is still a relatively small amount. We all need to be eating high quality foods suited for our metabolic type the majority of the time and start incorporating more live, raw, and organic foods.